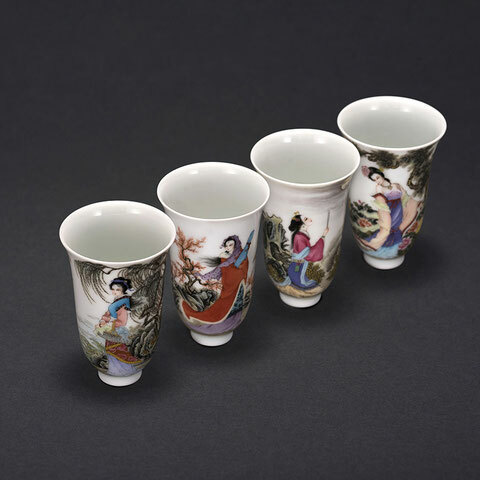 Powdered-color porcelain is an overglaze porcelain developed on the base of colorful porcelain with Chinese painting. 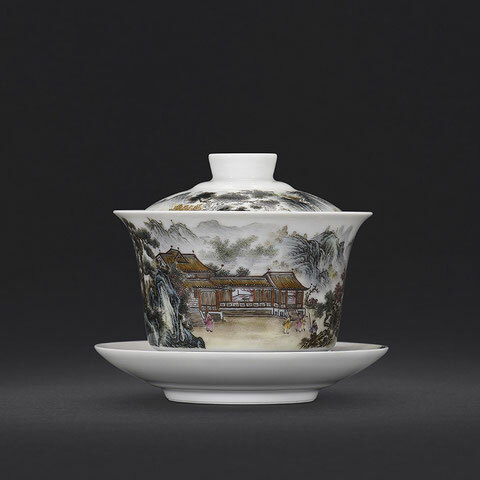 In term of glazing, people need to draw the frame of the pattern on the base and fill it with a “glass white” color. Then they add other colors on the glass white. The next step is to wash and dye the different colors with a clean brush into various layers. 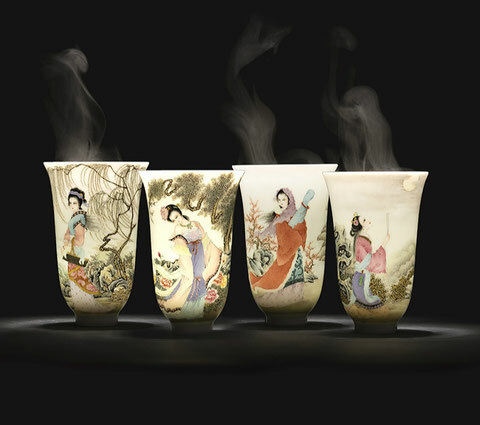 Famille rose porcelains are featured with soft and delicate color, orderly drawing, vivid images and an anaglyph effect. 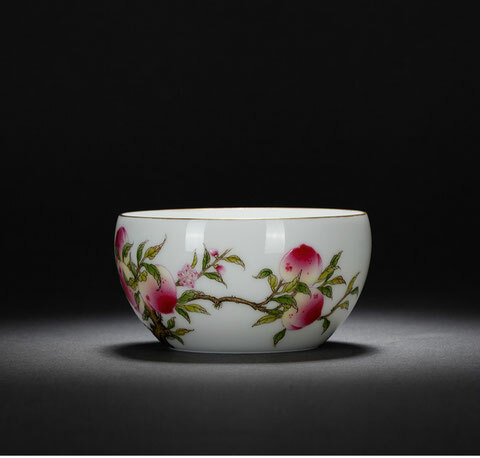 It was created during the reign of Emperor Kangxi, the Qing Dynasty. 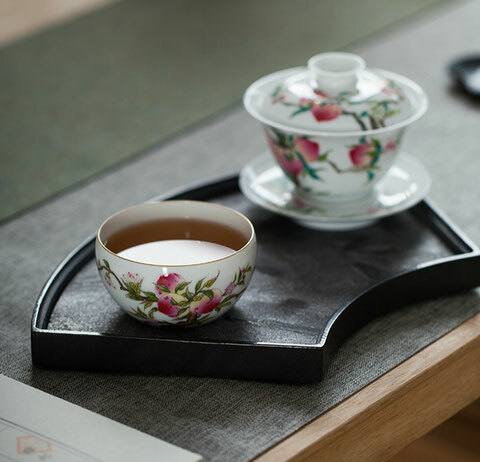 Soon after, it was warmly welcomed by the royal family and common people and became the model of top grade teawares.